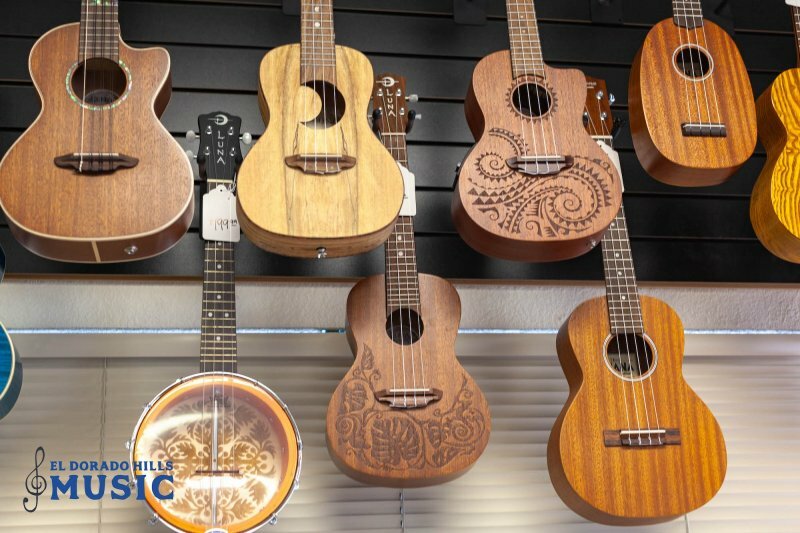 El Dorado Hills Music is an authorized Luna Guitars and Ukuleles Dealer. 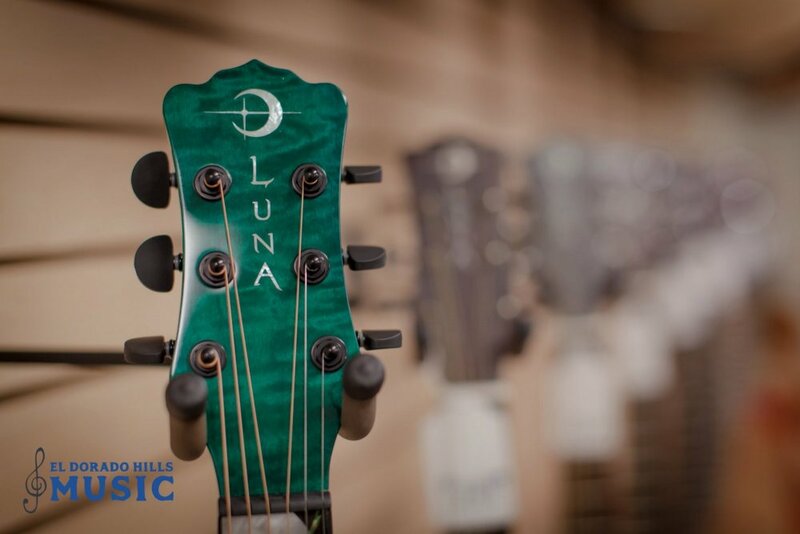 Luna Guitars is a line of comfortable instruments, made for musicians of all ages that are beautifully crafted to engage minds, spirits and talent. Co-founded by Yvonne de Villiers, the accomplished stained-glass artist envisioned a company that would reflect designs as unique as those who would play them. She drew much of her inspiration from her bass playing mother. Yvonne always believed that customers should not just be seen as sales transactions but rather as part of a larger close knit family - the Luna Tribe. It is with this in mind that Luna Guitars was born. To really understand why Luna instruments are considered art to many, you have to understand that the people behind Luna's design aesthetic are actually artists. The inspiration of world culture, nature and art is evident in the delicate inlaid or laser etched designs and unique ornamentation that make Luna Guitars so visually stunning. Though Yvonne departed the company in September 2015, she left a great philosophy that remains with us to this day - while guitars may all be made of wood and metal, what makes Luna unique is its soul. Embracing diversity. Committed to social responsibility. Connecting with our guitar community. Committed to customer service. These are some of the aspects that make Luna Guitars unique. We warmly welcome you to our corner of the world...Welcome to the Tribe!